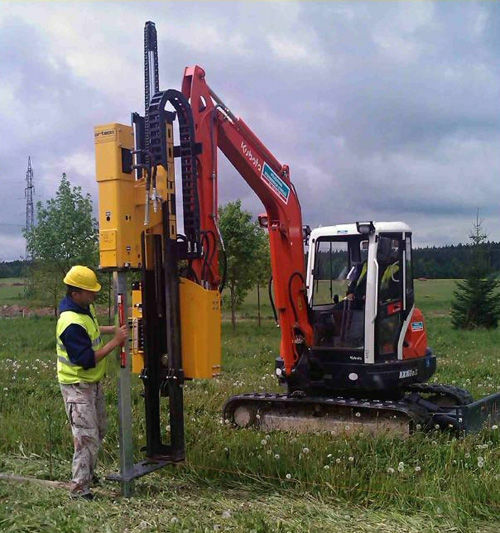 The pile driver mounted on an excavator boom has been designed for customers who own an excavator and must carry out non-binding work. This solution allows you to work off-road in difficult conditions using the stability and traction of a tracked excavator. This solution provides excellent performance at an affordable price. Check out the list of accessories: highlighted in green you will find those associated with this product. GPS Orteco "Machine control system"
Do you want to know Orteco? Contact Us! We will give you all the information you are interested in, without any commitment.